the hotkey for mesh select mode (vertex, edge, face) while in edit mode (ctrl + tab) has been reassigned in 2.8. Is there another hotkey assigned for this? I found them by looking in the User Prefs and searching for "mode", got the feeling I will be searching here quite a lot. 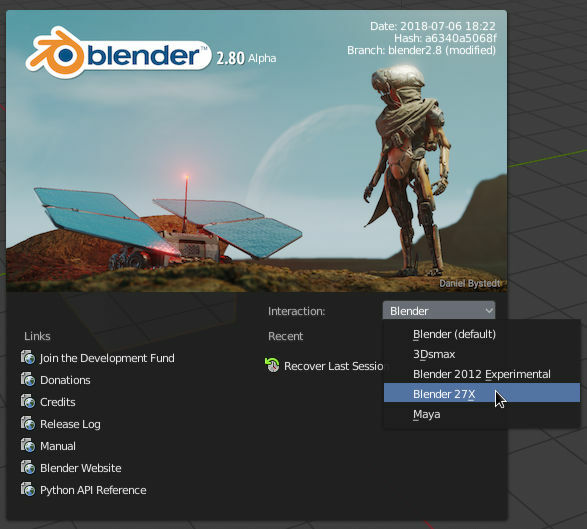 Blender 2.80 is taking a minimal shortcut approach, that is, it is removing many existing shortcuts in the default setup. 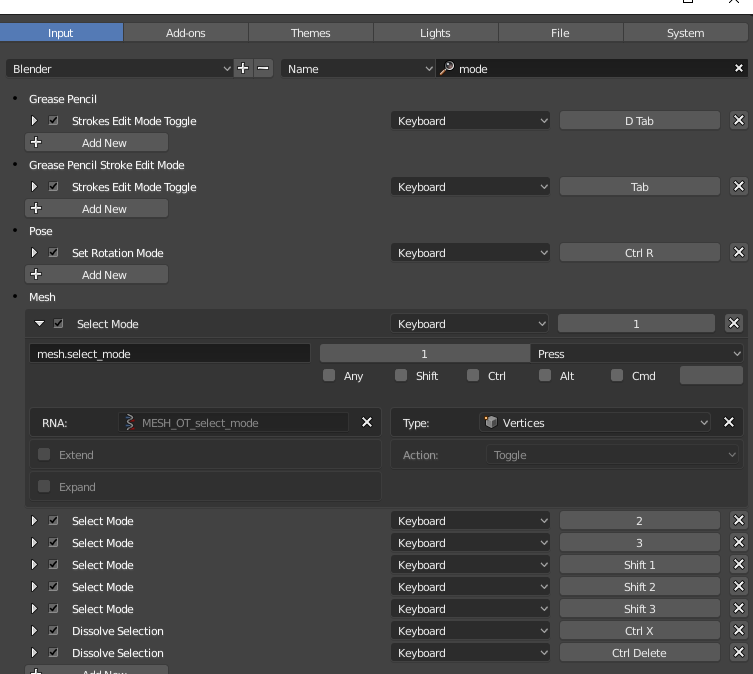 The idea is that we have a huge number of shortcuts assigned to tasks that even long terms blender users do not know about, some tasks even have multiple key combinations assigned to them, for example you can open a file with ⎈ CtrlO or you can press F1. You can either start with this minimal setup and add shortcuts that make sense to you, which is now easier as there are less keys with tasks pre-assigned, or you can go back to the old 2.7x shortcuts. When you start blender you can choose which keymap to use in the splash screen. You can also change the keymap in the preferences. Once you choose a keymap to use, you can save your settings so that it is used each time you start blender. Click the field with the number "1" in it. Press the "1" key on your keyboard. Not the answer you're looking for? Browse other questions tagged editing or ask your own question. Hotkey for toggling between vertex/edge/face select modes in Edit Mode? Is it possible to switch objects while still remaining in edit mode? Why does 'bone roll' have a separate hotkey from 'y-axis rotation'? Why does Select-All in Face-Select mode also select isolated edges? Mesh “expands” in object mode?